The offerings, a main aspect of the celebration, echo the profound love that the Oaxacan people feel towards life. There are subtle variations in the presentation of the offerings, among the neighboring towns. 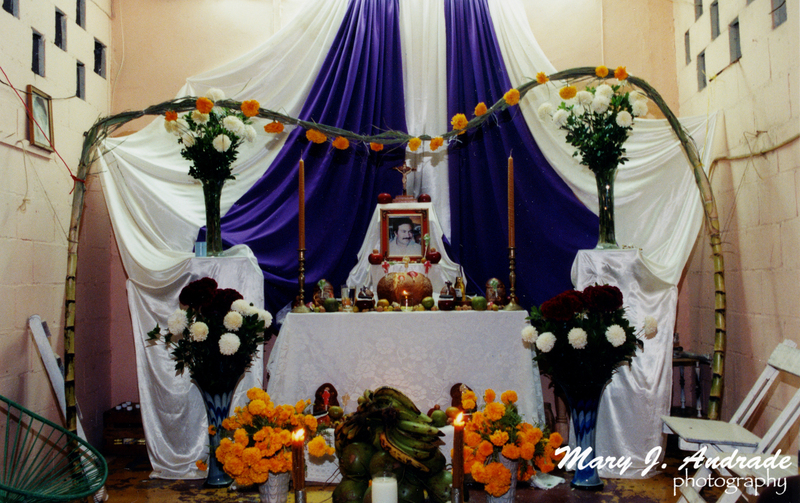 In Teotitlan del Valle, for example, a predominant place is chosen in the main room of the house to erect the altar. They use the cempasuchitl and other wild flowers that grow in that region to adorn it. 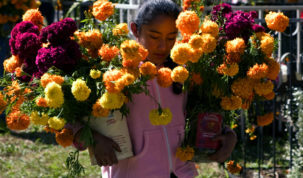 In the valleys of Oaxaca, a tiny little flower called Flower of the Dead growns and blossoms in the months of October and November. When it blooms, this flower covers the countryside with a bright yellow color. 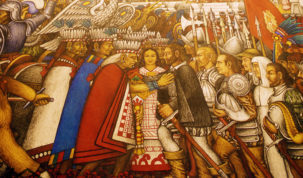 People of Ocotlan differ from those in Teotitlan del Valle in that they place the altar in the most convenient place in the home and use the cempasuchitl and a red, velvet-textured flower called rooster’s crest.